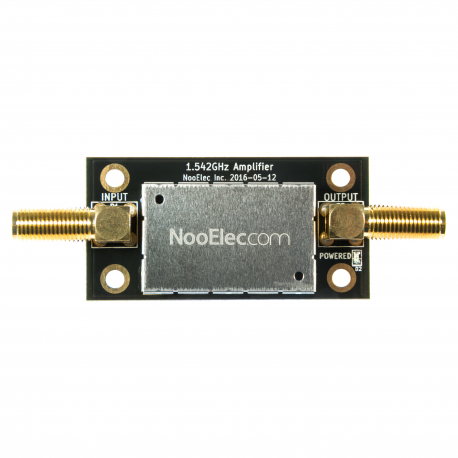 A complete LNA & SAW filter module for Inmarsat applications like the Outernet project. 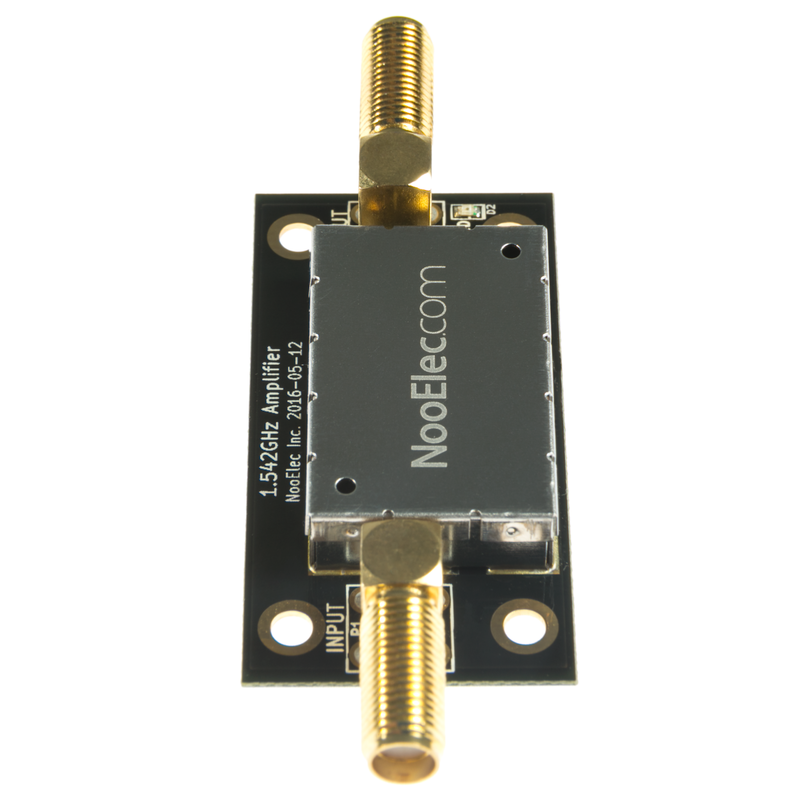 A high-quality, high-performance, complete LNA & SAW filter module for Inmarsat at a very affordable price. 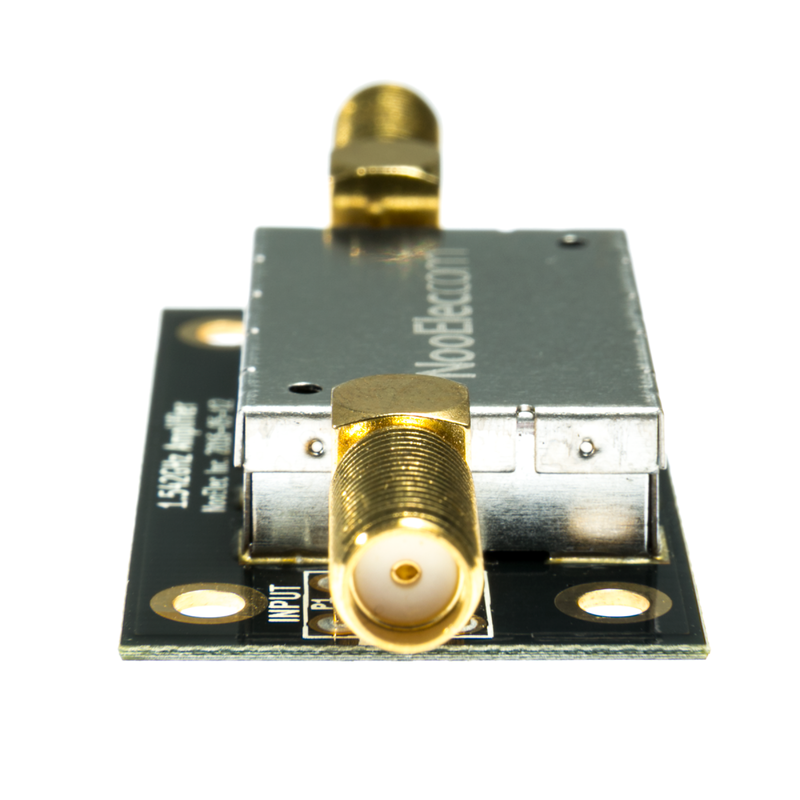 The module should be powered via low-noise bias-tee which supplies between 3.0V-5.5V. The bias tee must be capable of supplying a minimum of 35mA of current. As with all other high-frequency applications, we recommend using in conjunction with an SDR specifically designed for long-term, high-frequency performance without degradation, such as the NESDR SMArTee XTR. 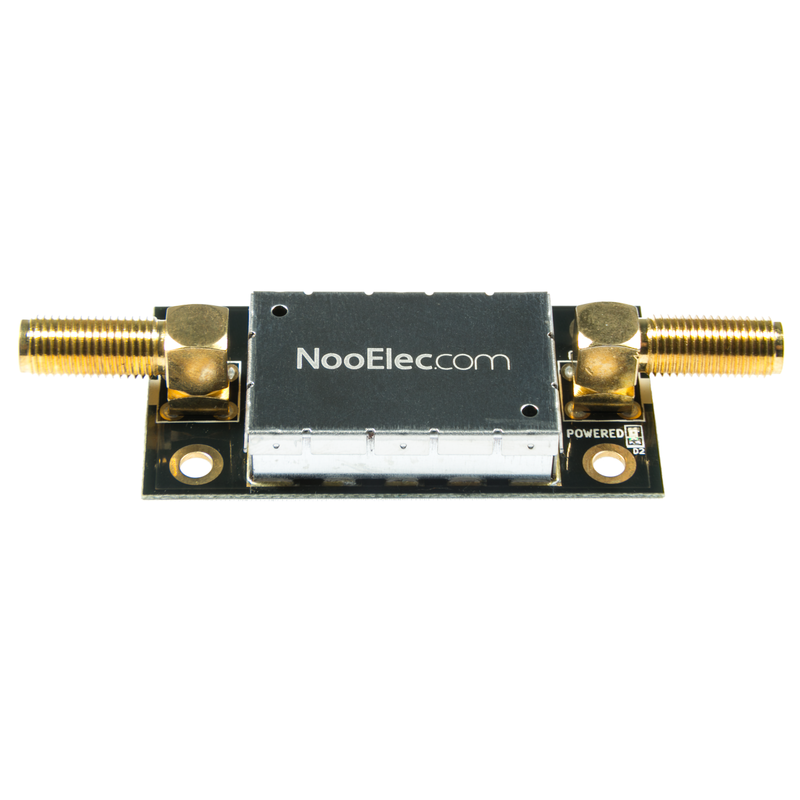 or a HackRF. 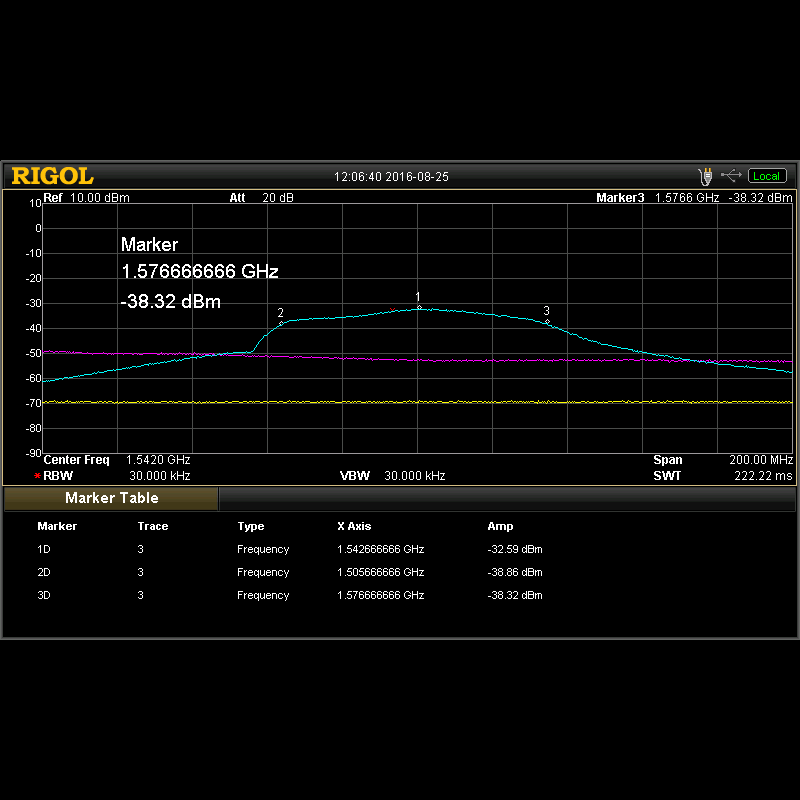 The center frequency of the module is 1.542GHz with approximately 80MHz of bandwidth (-6dB rolloff). As such, it should be used for reception of frequencies between 1.50GHz-1.58GHz. 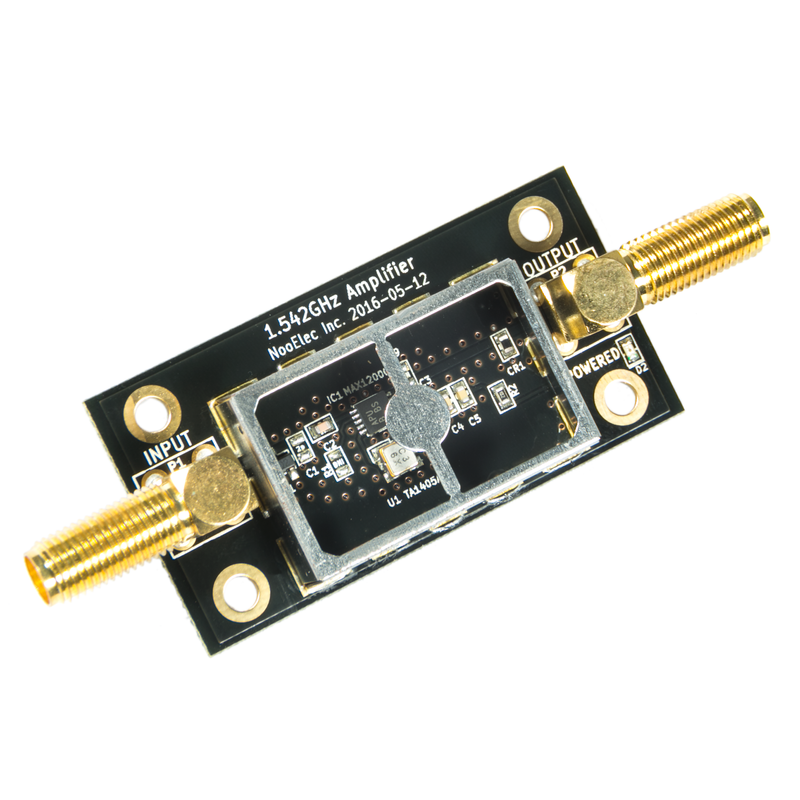 The LNA is a dual-stage design with a very low noise figure of 1dB (nominal). 4 mounting holes are available on the PCB for various mounting options. The input and output connectors are female SMA. The LNA/SAW filter well for Outernet while the service was still on L-Band using the Inmarsat satellites. At the time, I was using an 8 dBi 3-element patch antenna and an RTL-SDR receiver. Outernet has since moved to the Ku-Band, so this device is no longer applicable for that application. The LNA may still useful for those wishing to build a receiver for EGC, SafetyNet and JAERO messages.